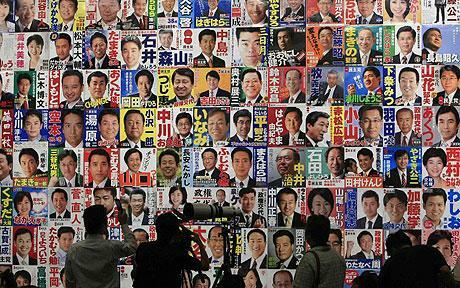 After almost five decades under the same party, Japan is poised for what opinion polls say could be a seismic shift in its political landscape. As voters head to the polls on Sunday, the governing Liberal Democratic party (LDP) faces the distinct possibility of defeat at the hands of an electorate eager for change. That would be a historic event in post-war Japanese politics. The LDP has held continuous power, apart from one short break, since it was formed in 1955. But for months the party has trailed badly in opinion polls, with many Japanese seeing the party as out of touch and lacking direction. Instead, many of Japan’s traditionally risk-averse voters are leaning towards the Democratic Party of Japan, eager for a new direction after half a century of almost unbroken conservative rule. Hywel Davies reports.